The return of the popular diving horses show at the Atlantic City Steel Pier is sparking a mixed reaction across the region. It’s an attraction that was synonymous with Atlantic City for nearly half a century. But now its planned revival is sparking considerable controversy. The diving horses of the Atlantic City Steel Pier are set to return. In the original show that ran from the 1920s to 1970s, a horse would walk up the steps of a 40-foot tower where a woman in a bathing suit was waiting. The woman would then mount the horse as it jumped into a pool of water below. “First time seeing the ocean and then seeing that the same day, it’s etched in my memories,” said Ron Hoke of Sellersville, Pa. The owners of the steel pier say the new show will feature a horse and rider, diving off a 30 to 40 foot platform into a 12-foot pool. It’s set to make its return in the summer. “It’s iconic, it’s historical and it’s very popular,” said Anthony Catanoso, the Steel Pier president. “I think it’s disgusting and I think it’s cruelty to animals,” said Atlantic County SPCA President Nancy Beall. A brief return of the diving horses in 1993 ended after protest from animal rights activists. Local activists now promise a new fight. 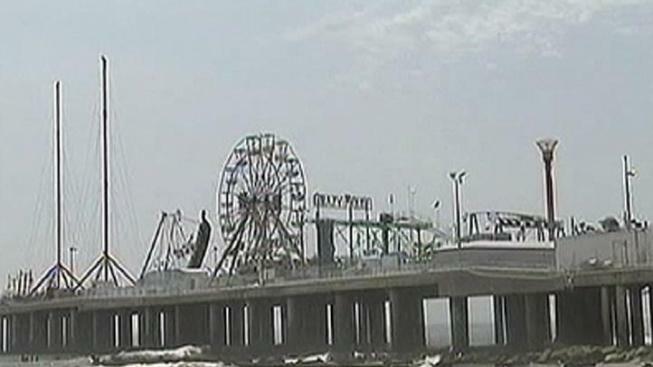 The Steel Pier owners plan to build an amphitheater on the ocean-end of the pier in the next few months. They then hope to have the horses diving by Memorial Day Weekend. Admission for the show will be less than $10 for adults, according to the owners. The pier is also set to undergo a $102 million dollar renovation over the next 3-and-a half years.